tell us #whysydney and your next visit is on us! You represent that: (i) your entry is your own original work; and (ii) you own or have the rights to convey any and all right and title in any material submitted as part of your entry into the Contest. 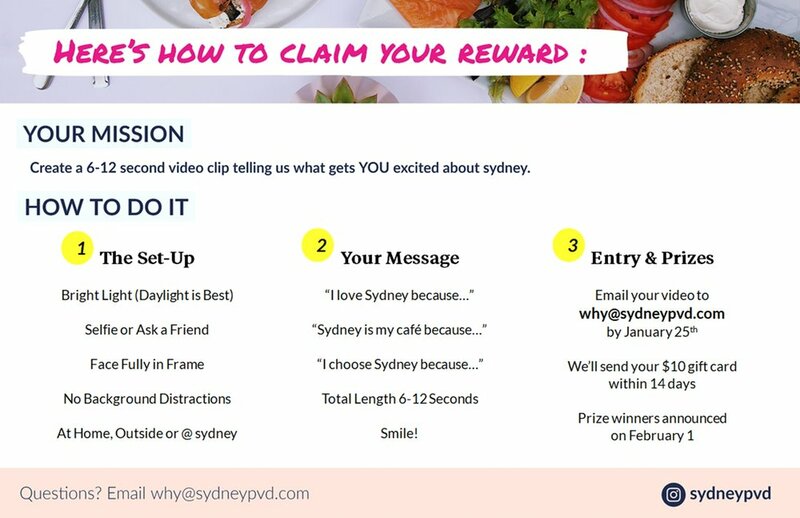 By entering, you grant to Sydney Providence LLC a non-exclusive, worldwide, royalty-free license to edit, publish, promote, republish at any time in the future and otherwise use your submission, along with your name and likeness, in any and all media for any purpose, without further permission, notice or compensation (except where prohibited by law). You warrant that you have obtained the express permission and agreement of all individuals appearing in your entry to be bound by these terms. The winners of the contest will be selected by Sydney Providence LLC at its sole discretion. Offensive or explicit entries will be rejected. Employees of sydney are not eligible to enter.